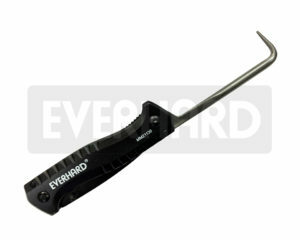 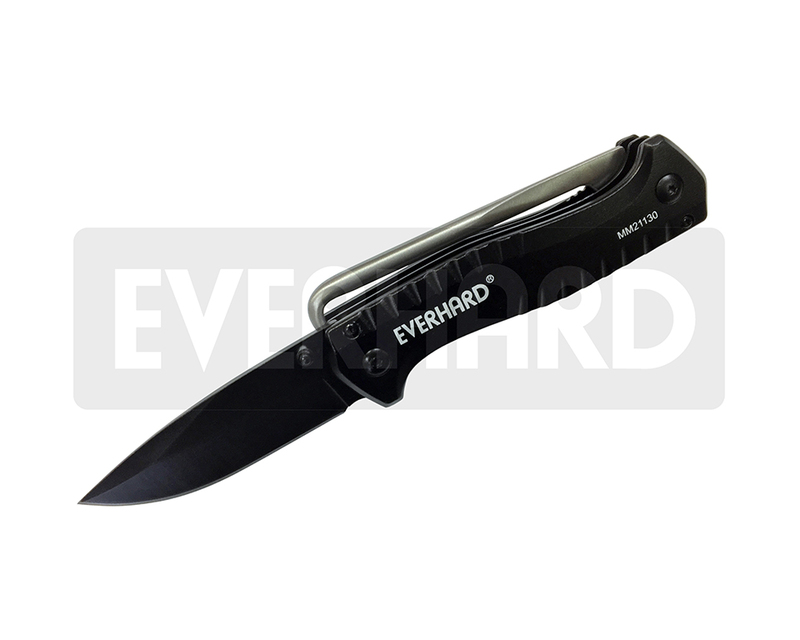 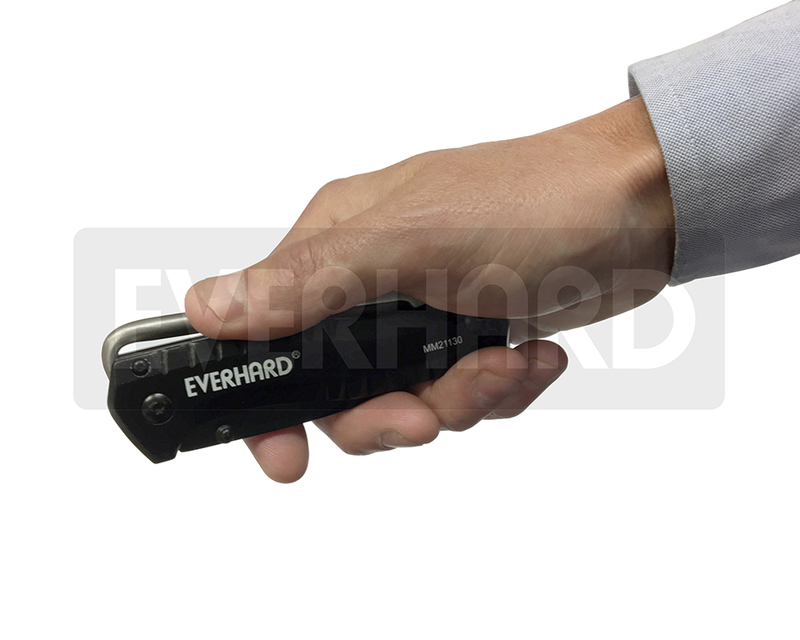 Comfortable, black, anodized aluminum handle. Knife and seam probe lock into place when completely open. 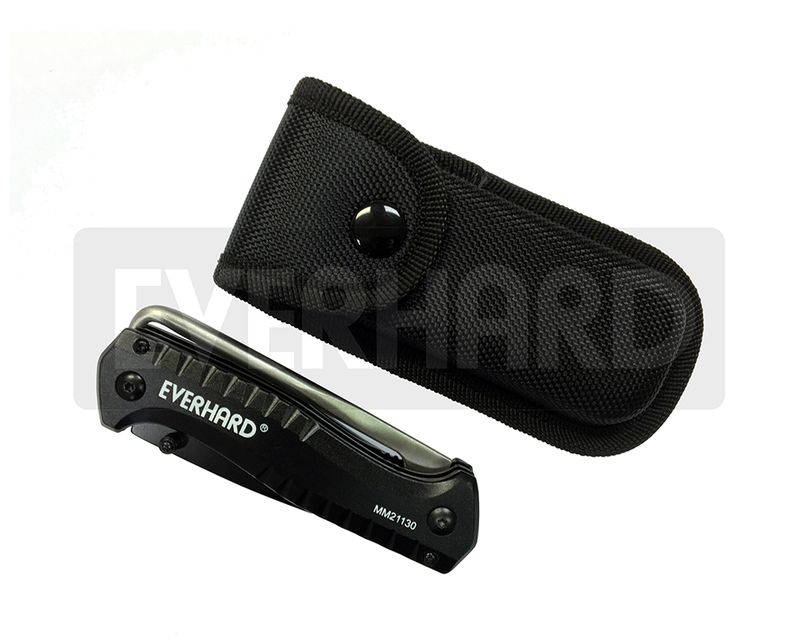 When folded, tool can be safely kept in pocket, attached to belt using pocket clip, or carried in belt sheath.